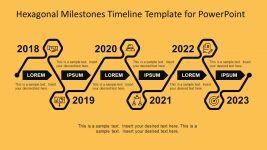 The Creative Timeline Design Gantt Chart displays three horizontal stages in a unique chevron design timeline PowerPoint. 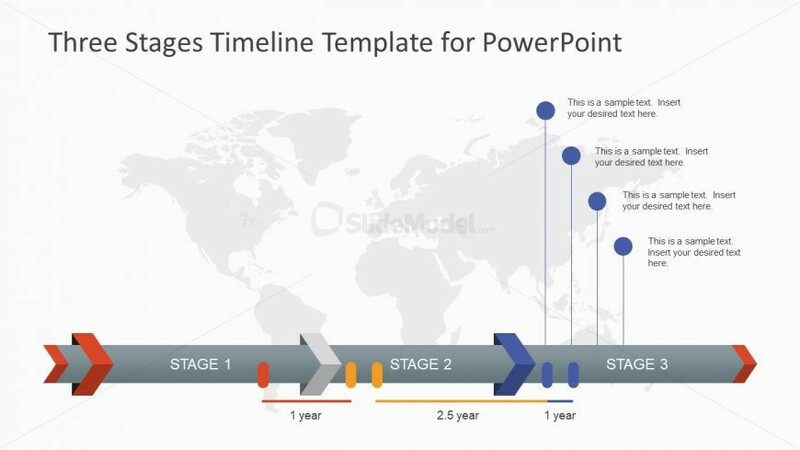 This gives a visual effect of schedule management Gantt chart with the vertical pointer display in a moving timeline. 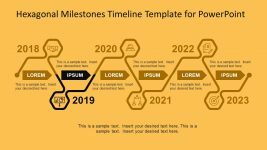 The three stages are the yearly milestones whereas, the activities inside are represented by straight lines and circular icons. 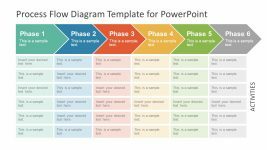 These units have text placeholders to add the key notes like purpose or objective of a specific task. 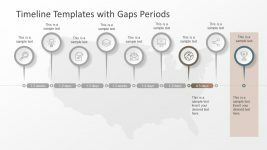 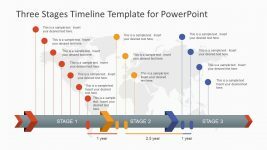 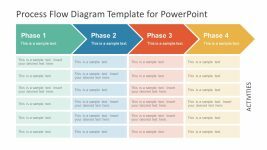 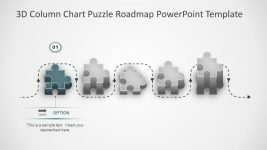 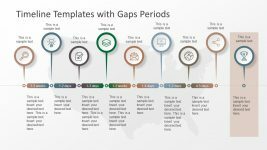 This is an amazing editable PowerPoint template of three stages which enables users to change its colors, shapes and sizes.